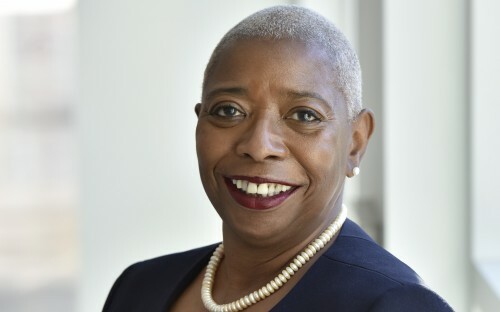 For the past five years, Janis Moore Campbell has helped MBAs at Temple University’s Fox School of Business move from the classroom to the boardroom. As director of graduate professional development at the Philadelphia-based school, Janis is responsible for almost 100 full-time MBAs—and she frequently works with each of them individually. Her advice is notoriously tough, but well-intentioned. Fox MBA graduates routinely find employment under Janis’ watch. In fact, numbers from the school indicate that 100% of graduates from Fox’s two-year Global MBA in 2016 were hired within three months of leaving the program. Of these MBAs, more than a quarter went into jobs that require skills in finance or accounting. Around 25% went into the healthcare industry, particularly in the mid-Atlantic region of the United States. Along with one-on-one advising, Janis teaches a course designed to get MBA students thinking about their future employment prospects. Janis focuses on a professional development model that includes personal development, career and industry awareness, and impression management. The three facets of this professional development model help students make “realistic” career choices, says Janis’ senior colleague Corinne Snell, the professional development center’s assistant dean. “You can be as smart as anybody, you could have an excellent GPA, you can look good on paper, but if you’re a ‘dud’ in the interview this will negatively impact your hirability,” says Corinne. Besides the important elements of self-assessment, market and career research, Janis’ course improves these "interpersonal skills” essential to a successful job interview. The program also helps students pare down the industries that interest them. Once a student has identified the specific company or industry they would like to work in, Janis relies on a wide-range of contacts for assistance with informational interviews, and to find internships or job placements. Such a strong list of contacts is necessary for students at Fox; the Global MBA program requires MBAs to find an internship placement during the summer between their first and second years. After the summer internship, Janis will tap into this list yet again and again to help MBAs meet the professionals that will put them to work after graduation.